Hi students, welcome to Amans Maths Blogs (AMB). On this page, you will get the NCERT solutions for class 6 Science. NCERT text books are prescribed by the CBSE. 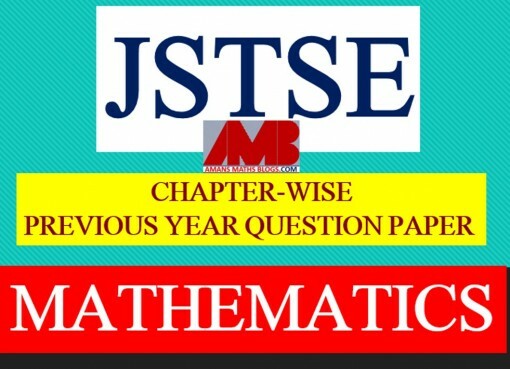 It means you have to study the NCERT text books of class 6 for the CBSE school’s exams. If you find that a question is very difficult to solve and you have no idea how to solve these questions, then you are at right place. This NCERT solutions for class 6 Science will also help you when you are doing your homework or any type of school assignment work. All these solutions are of NCERT text books exercise questions and solved by science faculty. I am a Maths Faculty and founder of this Amans Maths Blogs (AMB). I am just sharing the NCERT solutions for class 6 Science, which is chapter wise solutions of class 6 NCERT text book. The summery of the chapter are as below. 1. There is a lot of variation in the food eaten in different regions of India. 2. The main sources of our food are plants and animals. 3. Animals which eat only plants are called herbivores. 4. Animals which eat only animals are called carnivores. 5. Animals which eat both plants as well as other animals are called omnivores. 1. The major nutrients in our food are carbohydrates, proteins, fats, vitamins and minerals. In addition, food also contains dietary fibres and water. 2. Carbohydrates and fats mainly provide energy to our body. 3. Proteins and minerals are needed for the growth and the maintenance of our body. 4. Vitamins help in protecting our body against diseases. 1. There is a variety of clothing material or fabric, such as, cotton, silk, wool and polyester. 2. Fabrics are made from yarns, which in turn are made from fibres. 3. Fibres are either natural or synthetic. Cotton, wool, silk and jute are some natural fibres, while nylon and polyester are some examples of synthetic fibres. 4. Fibres like cotton and jute are obtained from plants. 5. The process of making yarn from fibres is called spinning. 6. Fabric from yarns is made by weaving and knitting. 1. Objects around us are made up of a large variety of materials. 2. A given material could be used to make a large number of objects. It is also possible that an object could be made of a single material or of many different types of materials. 3. Different types of materials have different properties. 4. Some materials are shiny in appearance while others are not. Some are rough, some smooth. Similarly, some materials are hard, whereas some others are soft. 5. Some materials are soluble in water whereas some others are insoluble. 6. Some materials such as glass, are transparent and some others such as wood and metals are opaque. Some materials are translucent. 7. Materials are grouped together on the basis of similarities and differences in their properties. 8. Things are grouped together for convenience and to study their properties. 1. Handpicking, winnowing, sieving, sedimentation, decantation and filtration are some of the methods of separating substances from their mixtures. 2. Husk and stones could be separated from grains by handpicking. 3. Husk is separated from heavier seeds of grain by winnowing. 4. Difference in the size of particles in a mixture is utilised to separate them by the process of sieving and filtration. 5. In a mixture of sand and water, the heavier sand particles settle down at the bottom and the water can be separated by decantation. 6. Filtration can be used to separate components of a mixture of an insoluble solid and a liquid. 8. A saturated solution is one in which no more of that substance can be dissolved. 9. More of a substance can be dissolved in a solution by heating it. 10. Water dissolves different amount of soluble substances in it. 1. Some changes can be reversed and some cannot be reversed. 2. A change may occur by heating a substance or by mixing it with some other. 1. Plants are usually grouped into herbs, shrubs, trees, and climbers based on their height, stems and branches. 2. The stem bears leaves, flowers and fruits. 3. A leaf usually has a petiole and a lamina. 4. The pattern of veins on the leaf is called venation. It can be reticulate or parallel. 5. Leaves give out water vapour through the process of transpiration. 6. Green leaves make their food by the process of photosynthesis using carbon dioxide and water in the presence of sunlight. 7. Roots absorb water and minerals from the soil and anchor the plant firmly in the soil. 8. Roots are mainly of two types: tap root and fibrous roots. 9. Plants having leaves with reticulate venation have tap roots while plants having leaves with parallel venation have fibrous roots. 10. The stem conducts water from roots to the leaves (and other parts) and food from leaves to other parts of the plant. 11. The parts of a flower are sepals, petals, stamens and pistil. 1. Bones and cartilage form the skeleton of the human body. It gives the frame and shape to the body and helps in movement. It protects the inner organs. 2. The skeleton comprises the skull, the back bone, ribs and the breast bone, shoulder and hipbones, and the bones of hands and legs. 3. The bones are moved by alternate contractions and relaxations of two sets of muscles. 4. The bone joints are of various kinds depending on the nature of joints and direction of movement they allow. 5. Strong muscles and light bones work together to help the birds fly. They fly by flapping their wings. 6. Fish swim by forming loops alternately on two sides of the body. 7. Snakes slither on the ground by looping sideways. A large number of bones and associated muscles push the body forward. 8. The body and legs of cockroaches have hard coverings forming an outer skeleton. The muscles of the breast connected with three pairs of legs and two pairs of wings help the cockroach to walk and fly. 9. Earthworms move by alternate extension and contraction of the body using muscles. Tiny bristles on the underside of the body help in gripping the ground. 10. Snails move with the help of a muscular foot. 1. The surroundings where plants and animals live, is called their habitat. 2. Several kinds of plants and animals may share the same habitat. 3. The presence of specific features and habits, which enable a plant or an animal to live in a particular habitat, is called adaptation. 4. There are many types of habitats, however, these may be broadly grouped as terrestrial (on the land) and aquatic (in water). 5. There is a wide variety of organisms present in different habitats. 7. Plants, animals and microorganisms together constitute biotic components. 8. Rocks, soil, air, water, light and temperature are some of the abiotic components of our surroundings. 9. Living things have certain common characteristics — they need food, they respire and, excrete, respond to their environment, reproduce, grow and show movement. 1. Different modes of transport are used to go from one place to another. 2. In ancient times, people used length of a foot, the width of a finger, the distance of a step as units of measurement. This caused confusion and a need to develop a uniform system of measurement arose. 3. Now, we use International System of Unit ( SI unit). This is accepted all over the world. 4. Metre is the unit of length in SI unit. 5. Motion in a straight line is called rectilinear motion. 6. In circular motion an object moves such that its distance from a fixed point remains the same. 7. Motion that repeats itself after some period of time, is called periodic motion. 1. Opaque objects do not allow light to pass through them. 2. Transparent objects allow light to pass through them and we can see through these objects clearly. 3. Translucent objects allow light to pass through them partially. 4. Shadows are formed when an opaque object comes in the path of light. 5. Pinhole camera can be made with simple materials and can be used to image the Sun and brightly lit objects. 6. Mirror reflection gives us clear images. 7. Images are very different from shadows. 8. Light travels in straight line. 1. Electric cell is a source of electricity. 2. An electric cell has two terminals; one is called positive (+ ve) while the other is negative (– ve). 3. An electric bulb has a filament that is connected to its terminals. 4. An electric bulb glows when electric current passes through it. 5. In a closed electric circuit, the electric current passes from one terminal of the electric cell to the other terminal. 6. Switch is a simple device that is used to either break the electric circuit or to complete it. 7. Materials that allow electric current to pass through them are called conductors. 8. Materials that do not allow electric current to pass through them are called insulators. 1. Magnetite is a natural magnet. 2. Magnet attracts materials like iron, nickel, cobalt. These are called magnetic materials. 3. Materials that are not attracted towards magnet are called non-magnetic. 4. Each magnet has two magnetic poles—North and South. 5. A freely suspended magnet always aligns in N-S direction. 6. Opposite poles of two magnets attract each other whereas similar poles repel one another. 1. Water is essential for life. 2. Water vapour gets added to air by evaporation and transpiration. 3. The water vapour in the air condenses to form tiny droplets of water, which appear as clouds. Many tiny water droplets come together and fall down as rain, snow or hail. 4. Rain, hail and snow replenish water in rivers, lakes, ponds, wells and soil. 5. The circulation of water between ocean and land is known as the water cycle. 6. Excessive rains may cause floods while lack of it for long periods may cause droughts. 7. The amount of usable water on earth is limited so it needs to be used carefully. 1. Air is found everywhere. We cannot see air, but we can feel it. 2. Air in motion is called wind. 4. Air is present in water and soil. 5. Air is a mixture of nitrogen, oxygen, carbon dioxide, water vapour and a few other gases. Some dust particles may also be present in it. 6. Oxygen supports burning and is necessary for living organisms. 7. The envelope of air that surrounds the earth is known as atmosphere. 8. Atmosphere is essential for life on earth. 9. Aquatic animals use dissolved air in water for respiration. 10. Plants and animals depend on each other for exchange of oxygen and carbon dioxide from air. 1. Landfill is an area where the garbage collected from a city or town is dumped. The area is later converted into a park. 2. Converting plant and animal waste including that from kitchen, into manure, is called composting. 3. The method of making compost from kitchen garbage using redworms is called vermicomposting. 4. Paper can be recycled to get useful products. 5. Plastics cannot be converted into less harmful substances by the process of composting. 6. We need to generate less waste and find ways of dealing with the increasing amount of garbage in our surroundings.